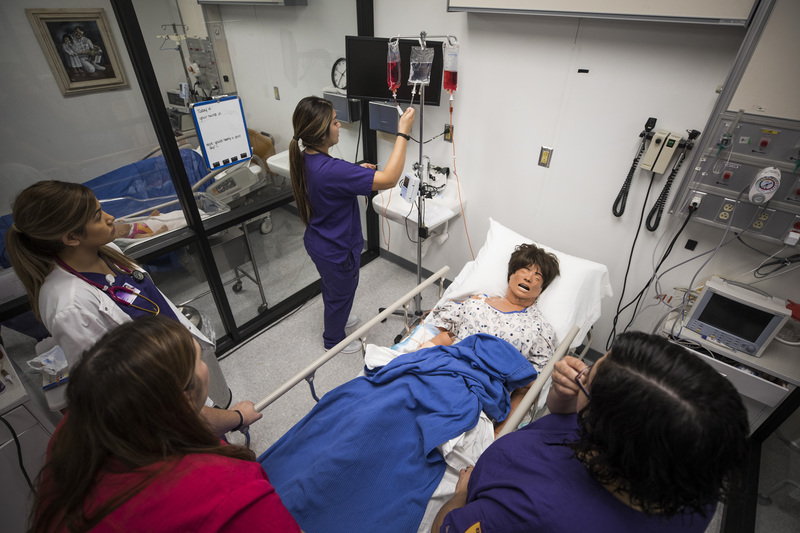 Technical classes and concurrent enrollment continue to show positive results at Dodge City Community College. At Tuesday’s meeting, Ryan Ausmus, dean of workforce development, told the DC3 Board of Trustees about increases in grant funding received for the school’s technical programs. This year the college will receive $97,255 in Perkins funds, an increase of more than $13,000 over last year. Additionally, Ausmus said that the college’s Perkins grant is out from under any corrective action. The Perkins funding is specifically directed toward “improving quality and outcomes within technical education programs,” Ausmus said. Funds can be allocated in four specific areas: salaries, equipment, curriculum, and professional development. The college allocates most of the Perkins money to professional development of faculty and classrooms, according to Ausmus, in order to deliver the highest quality instruction possible to students. The outcomes affected by Perkins funds include increasing the number of associate of applied science graduates and certain certifications, improving student transfer rates, and workforce placement. Ausmus said the college has been able to make significant improvements to instructional delivery. Faculty qualifications were a large focus of April’s Higher Learning Commission review, and Trustees debated the appropriate language needed for Board Policy 515 regarding minimum faculty qualifications. HLC recommendations state that all academic faculty must have at least a master’s degree, and all career and technical instructors have at least a bachelor’s degree. Concerns were raised about the burden that minimum educational requirements would place on the college’s technical programs. Several trustees remarked about the difficulty in drawing suitable candidates to this geographic region, as well as the general challenge of attracting faculty in a competitive job market. Some board members claimed that master welders or electricians with years of experience should be considered just as qualified as someone with a traditional bachelor’s degree. Others countered that some accreditation advisors had suggested that they personally would never hire any technical faculty without a bachelor’s degree. Ultimately the policy was approved in alignment with HLC Assumed Practices of bachelor’s degrees for tech ed instructors. Administrators pointed out that instructors who don’t meet the minimum standards have options available to become compliant. Instructors are put on a plan that requires nine credit hours per year of classes be taken toward degree completion. In order to accommodate their teaching job, instructors can take all nine hours over the summer if need be. The college offers leave programs and paid sabbaticals to faculty who want or need to advance their training. “We try to give them as many options as we can,” said Jane Holwerda, DC3 vice president of academic affairs. In DC3 budget discussions, Vada Hermon, vice president of finance, said the school continues to see a positive impact from concurrent enrollment. “Senate Bill 155 and the vocational classes have been extremely rewarding for us,” Hermon said. Kansas SB 155 allows high school students to take vocational programs through community colleges with little or no cost to the student. DC3 is reimbursed for the concurrent enrollment courses by the state – adding $360,000 in increased enrollment through the school’s tech programs. According to Hermon, discussions are being shared at the state level about implementation of another bill that would fund college general education courses for high school students as well – potentially a shot in the arm for enrollment numbers. Hermon the school needs to increase its cash reserve ratios in order to meet financial guidelines set forth by the HLC. While plans are moving forward in six departments for budget tightening to achieve HLC goals, Hermon announced a $20,000 increase generated from wind farm taxes. DC3 received around $700,000 in wind farm tax revenue in 2017. Hermon also said there would be no mill increase in the budget.